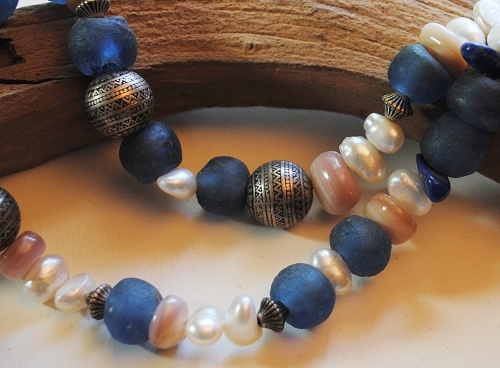 Dramatic Blues and freshwater pearl mixed gemstone necklace. 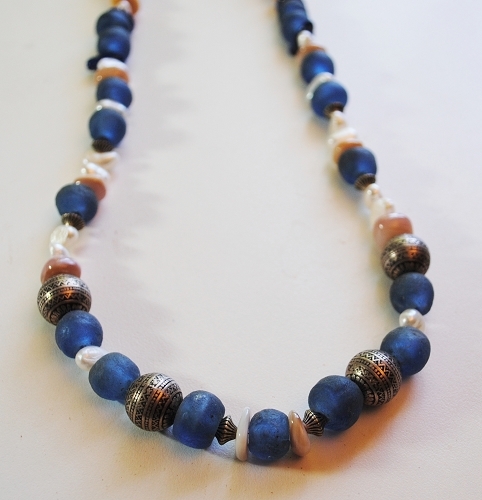 This blue toned necklace consists of one strand of mixed beads: Fair trade recycled blue glass, freshwater pearls, reclaimed beads, shell, and lapis lazuli. Created just for you - handcrafted by The Healing Canvas.